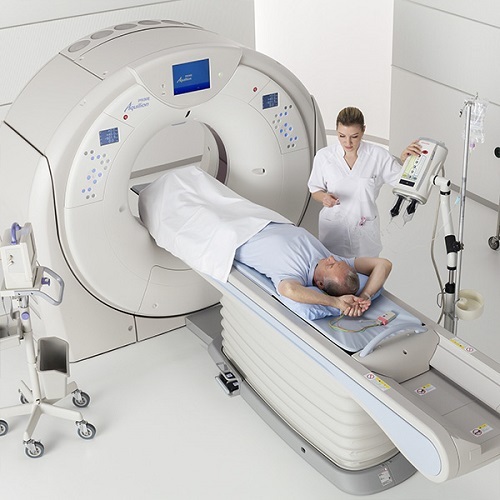 Optimize CT images with a thorough understanding of how the data needed to acquire high-quality images are captured and processed. Explore how CT scanners construct images and the selectable scan factors and various techniques used to display images. Approved for 1 Category A CE credit by the ASRT. Focus on reconstructing and enhancing CT images in this interactive learning module, which features the tools and applications needed for specialized scanning, viewing and archiving CT data. Approved for 1 Category A CE credit by the ASRT. The stress is on safety in this interactive learning module on measuring patient dose, increasing patient safety and reducing occupational exposure in CT. This course emphasizes the essential role of CT technologists in reducing radiation dose through technical factor selection, positioning and shielding, with special consideration to pediatric patients. Approved for 1 Category A CE credit by the ASRT. Strike a balance between image quality and radiation dose with the factors and elements of a quality control program offered in this interactive learning module. Approved for 1 Category A CE credit by the ASRT. Strike a balance between image quality and radiation dose to the patient with the factors and elements of a quality control program offered in this interactive learning module. The module covers many of the common procedures performed in CT including pelvis, head, abdomen and thorax. Examinations with and without contrast are discussed. Approved for 2 Category A CE credits by the ASRT.